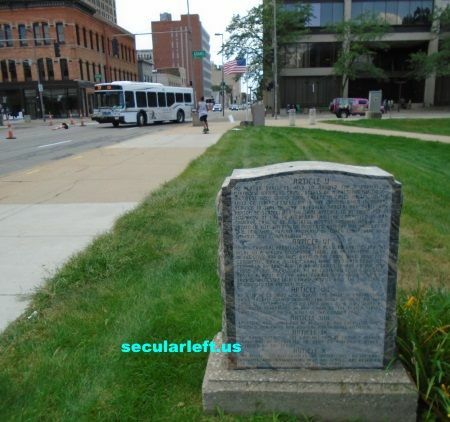 A stone marker has sat on the grounds of the Lucas County Courthouse in Toledo, Ohio for the past 60 years. It’s engraved with the 10 Commandments – a set of Christian religious rules. Supporters of the monument claim the commandments are part of our collective legal history so it should remain on the courthouse lawn. In 2006, a federal court agreed. A reasonable person, looking at the full background of how the monument came to be would come to a different conclusion. The Lucas County Courthouse is located on Adams Street in downtown Toledo. There aren’t many monuments or markers on the grounds but one that caught my eye is a 10 Commandments monument that was donated by a local chapter of the Fraternal Order of Eagles in 1957. The Eagles placed hundreds of markers across the country starting in the late 1940s through the early 1960s. The markers were placed on courthouses, public schools, and public parks. This particular monument caught my eye because it’s located right next to the sidewalk, at one of the busy corners of the city, at the heart of the county and city government. The monument depicts two tablets resembling traditional portrayals of the Decalogue as brought, according to the Biblical account, by Moses from Mount Sinai. Other symbols adorn the monument above and below the text of the Commandments, including: 1) two smaller, inscribed tablets with Greek text; 2) a bald eagle and United States flag; 3) the “all seeing eye” (also found on the Great Seal of the United States); 4) two stars of David, commonly associated with the Jewish faith and the state of Israel; and 5) the Chi-Rho symbol, a first century image used by early Christians. On June 27, 2005, the U.S. Supreme Court issued a pair of rulings concerning the Ten Commandments that provide some guidance on the legality of such displays. When we consider both rulings, it’s clear that the high court did not approve all forms of government-backed Ten Commandments displays. 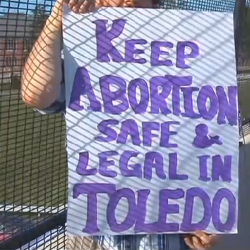 The ACLU sued Lucas county, in 2003, before the two cases mentioned above were settled but the court held off on this case until those rulings were issued. In 2006, the federal court ruled the Toledo monument was constitutional since it was similar to the Texas statehouse monument in the Van Orden v. Perry case. Considering the effect of the monument under Lemon, I am persuaded that an objective observer could not conclude that the monument, despite the sectarian antecedents of its text, has the effect of endorsing religion in general or the specific tenets of any particular sectarian assembly. In addition, the Chief Justice’s plurality opinion and Justice Breyer’s concurring opinion in Van Orden likewise give an imprimatur of constitutionality to the Lucas County monument. 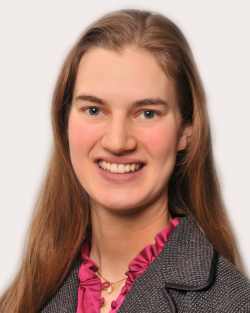 That it has stood unchallenged for nearly five decades is an important consideration; indeed, for Justice Breyer, author of the opinion that decided the outcome of Van Orden, its undisturbed tenure would be “determinative.” 125 S.Ct. at 2870 (Breyer, J., concurring). Just because a religious monument was donated for non-religious reasons – in this case juvenile delinquency – it doesn’t remove the religious context of the monument and the appearance of the county endorsing this particular religious code. A religious text is still a religious text. 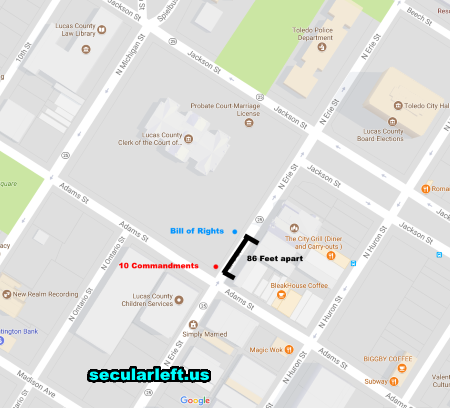 Like the current issue with removing Confederate monuments in public spaces, a 10 Commandments monument sends a specific message that the government favors a particular point of view – in this case a religious one. Because if the government really had a secular intent it would have only accepted a monument with a generic moral code that had 100% secular text – like the Bill of Rights. The 10 Commandments aren’t even part of our founding history or behind any of our laws. Thus, were the first four commandments enacted into law today, they would constitute plain constitutional violations. It is an exceedingly strange, and strained, argument that argues the primacy of the Ten Commandments as the true American source of law when the first four simply cannot be enacted into law, because they would conflict with our Constitution. The first four prove that the Commandments are religious rules, not civil law. So as a starting point, only the latter six could possibly be nominees as possible sources of our governing laws. That leaves us with only two commandments that are somewhat accurately echoed in current law: the rule against murder, and the rule against stealing. And even the rule against murder is not exactly the same as the Commandment: We recognize exceptions, such as self-defense, that the Commandment simply does not. Moreover, it is impossible to attribute the continuing force of these laws solely to their Ten Commandments’ origin. And that origin is not unique: There is no civilized country that has not settled upon these two principles. Just because something illegal hasn’t been called out in 60 years doesn’t then make that action legal. If you make an illegal u-turn and don’t get caught, it doesn’t make that u-turn any more legal. The “there hasn’t been one complaint in decades” argument is a poor defense of injustice no matter where it happens. 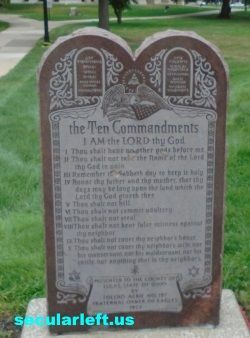 If you still aren’t convinced that these F.O.E 10 Commandment monuments need to be removed from our public spaces, here is some background on how they came to be in the first place. Yes, the original intent of the Fraternal Order of the Eagles was to use the monuments to try and address juvenile delinquency. Of course, how looking at a religious text would solve the problem was never mentioned or addressed. They set out to use a religious text. Then Cecil B. DeMille, the great filmmaker of the early 20th century, walked into the story. In fact, the Toledo Ten Commandments marker was one of thousands donated to cities nationwide in what author Robert Schnakenberg, in his gossipy tell-all The Secret Lives of Great Filmmakers, refers to as “a novel publicity stunt” by legendary filmmaker Cecil B. DeMille. DeMille had a costly remake of his 1923 silent film Ten Commandments coming to theaters in October, 1956. To bolster audience turnout to his Biblical epic, he “had stone tablets of the commandments installed at court houses and other government buildings across the United States,” Schnakenberg writes. It was a marketing scheme/civic duty made in, well, heaven: DeMille promoted his movie, and the F.O.E. promoted old-fashioned Old Testament values. In essence, juvenile delinquents would see these laws and likely put them into practice. So although it seems the donation was done as a movie promotion stunt with a wink-and-nod to the religious, DeMille wasn’t winking and nodding. It should be remembered that DeMille did two productions of “The Ten Commandments,” the first filmed in black and white as a silent picture during the rise of the immorality of the roaring twenties (1923), and the second epic in color featuring Charlton Heston at a period when the Cold War (1956) was heating up. Soviet Russia was a godless communist state and its atheistic system was threatening to swallow up the world in the latest form of tyranny. Loren P.Q. Baybrook, editor and chief of Film and History, says the four-hour remake of the 1923 film was “a declaration from Hollywood that American values, as opposed to Soviet values, were part of the longest history of moral principle.”  In the second film, DeMille once again saw the need for reminding America of its strong Judeo-Christian heritage and what had distinguished its place as the most free and prosperous people in human history. Fraternal Order of Eagles also has a requirement for membership that the person be “of good moral character, and believes in the existence of a Supreme Being” and not be a Communist. In 1959, the ACLU donated, to Lucas county, a monument to the Bill of Rights. It currently sits approximately 86 feet (not 40) from the 10 Commandments and flag pole. The 10 Commandments monument is sitting at THE prominent spot on the courthouse grounds – next to the sidewalk at the corner of Adams and Erie Streets. Those two streets are the center of Lucas county and Toledo city government. That corner has the most foot traffic and so more people see the monument during the day than see the Bill of Rights, which isn’t even facing the street. It’s as if someone decided to see how far away they could place it so it would still look like it was part of a display with the 10 Commandments. I’m still flummoxed, after looking at all the facts, that a federal court could rule the monument was constitutional. If you consider the full background of the donation rather than just the actions of the county commissioners in 1957, the monument fails one or more parts of the Lemon test. Accepting the donation of a religious text IS an attempt to cross the church and state line. 2. You can’t divorce the religion from the text since it is drawn directly from the Holy Bible. You leave out many religions who don’t use the Bible and you leave out those who choose to observe no religion. 3. 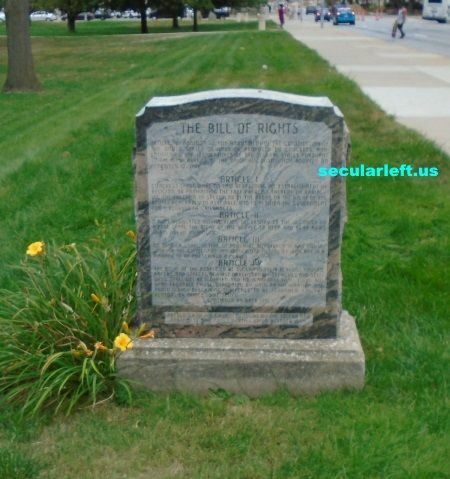 The county accepted the donation and placed the monument in the most prominent spot on the courthouse grounds and through ignorance or direct intention, set it apart by placing the later donated Bill of Rights monument so far way, a casual observer would not see the connection – even though the Decalogue has no actual historical value beyond some people in history followed that specific religion. 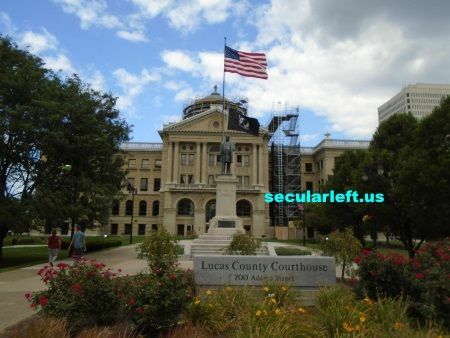 I would like to see the 10 Commandments removed from the courthouse but seeing that may not happen at least the county commissioners could either move the Bill of Rights next to the 10 Commandments at the corner OR move the 10 Commandments and flag pole back to where the Bill of Rights is located. Either way some sort of sign should be erected that gives the display some context (the 10 Commandments is a movie stunt while the Bill of Rights is a bed rock of our Jurisprudence – for example). We have to get over this idea that something isn’t illegal if no one complains about it and consider trying to be as inclusive as possible rather than divisive when choosing what statues or monuments to display on public land. Those choices aren’t passive. They convey how the members of the government and by connection, the public, feels about a particular person or topic. 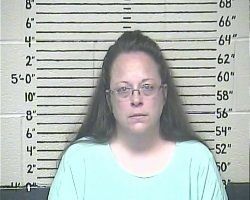 This is a prime example of Christian privilege. Civil rights isn’t subject to a popularity contest. This entry was posted in Courts, Entanglement, History, Myths, Politics, Religious Intolerance and tagged 10 Commandments, 1st amendment, ACLU, church and state, Lucas County Ohio, Toledo Ohio on August 28, 2017 by Doug. wow. what should we do about it? wow. what can we do to fix this?